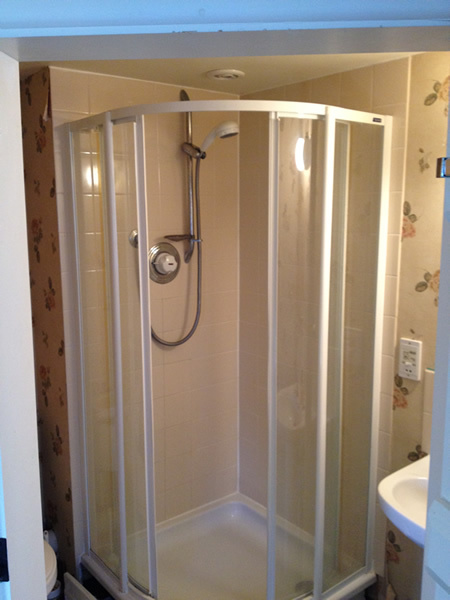 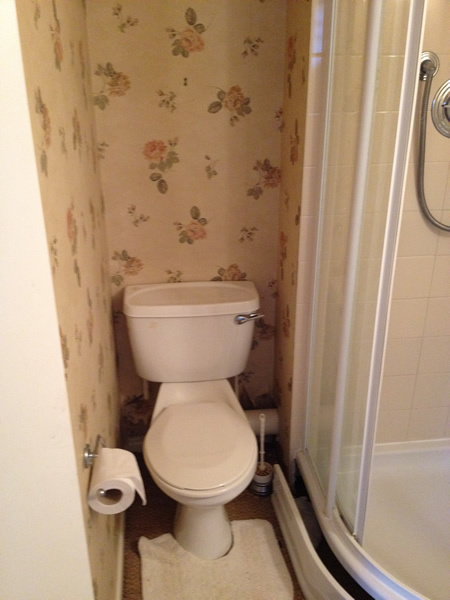 This Shower Room refurbishment saw all the old equipment removed along with wallpaper and existing lights. 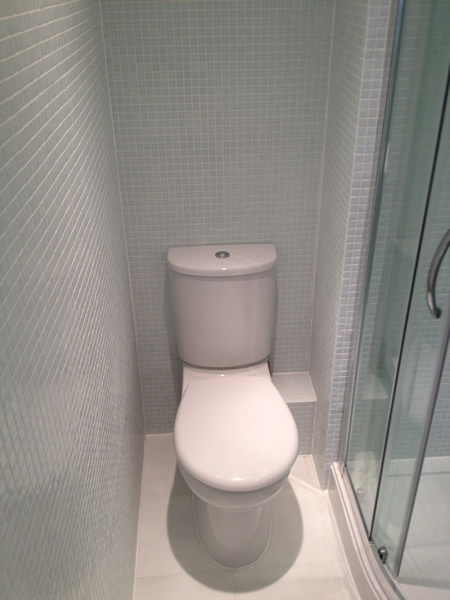 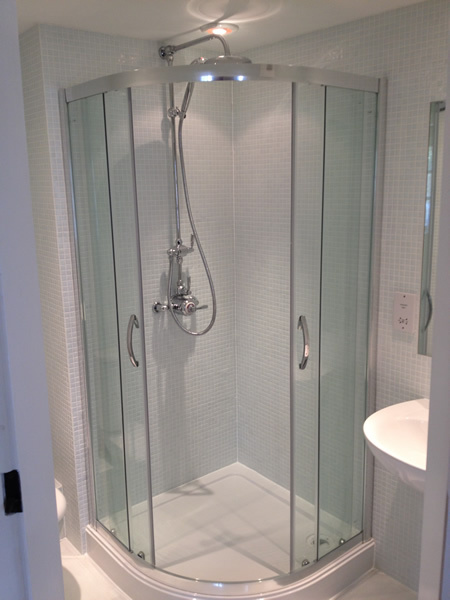 The shower cubicle had been leaking so we had to make good the wooden floor beneath it, and a new shower tray was fitted along with a Perrin and Rowe thermostatic shower system and a Roman shower enclosure. 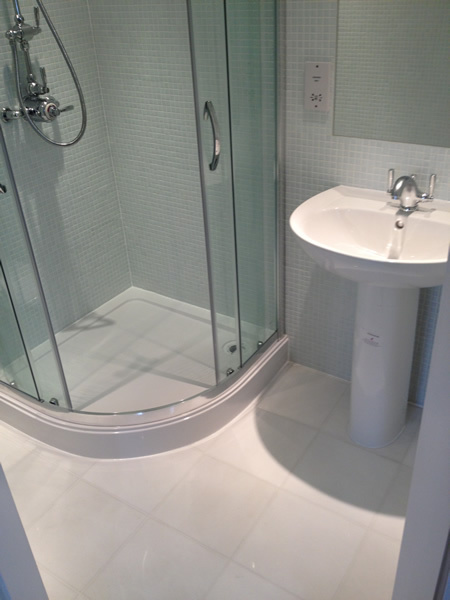 The chinaware was Twyford Galerie with a Perrin and Rowe basin mixer to finish. 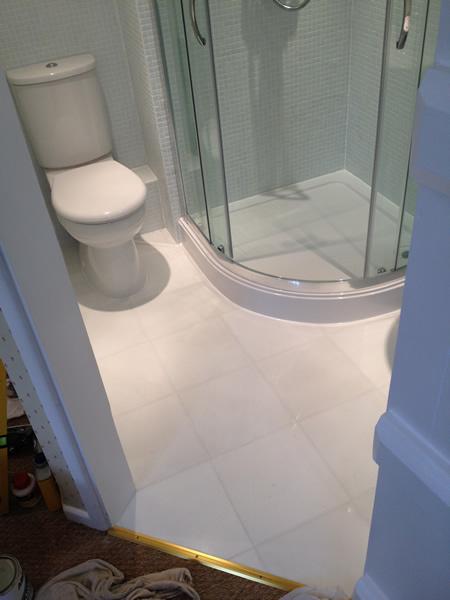 The room was tiled from floor to ceiling with a mosaic tile and the floor finished with a pure white (very rare) marble at £200.00 + VAT per square metre. 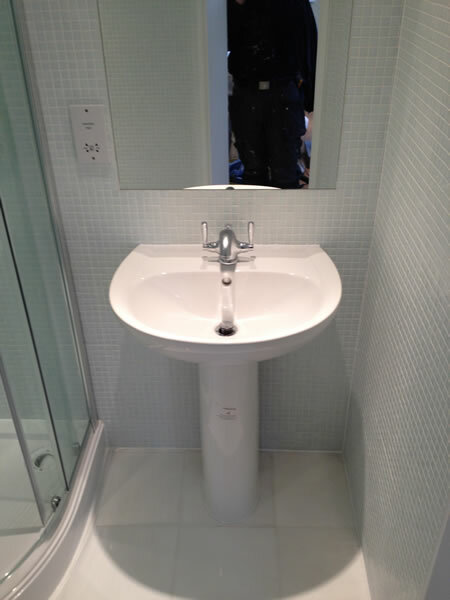 A bespoke mirror was made to recess in the tiles and new downlights and extractor light fitted to the ceiling. 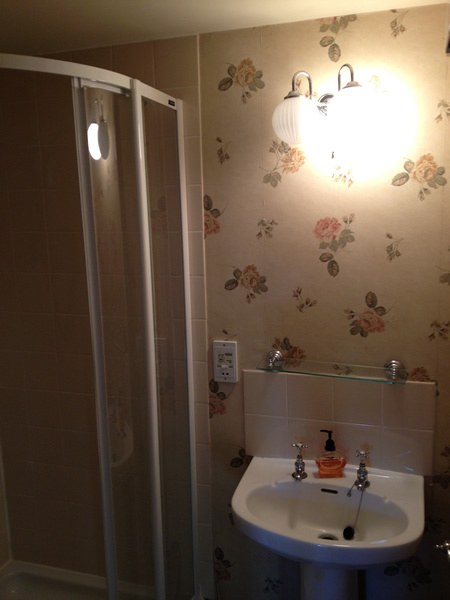 The room was decorated by us on completion.